A deadly truck accident happened yesterday in New York. A 25 year old rabbinical student was hit by a garbage truck as he was in the crosswalk on Kingstone Ave at Caroll St. in Crown Hights, Brooklyn. The pedestrian had the “walk signal” when he stepped in the crosswalk. According to witnesses, when the pedestrian realized that the truck driver didn’t see him, he tried to walk back but he was struck by the side of the truck and ran over. He died at the scene. 4000 New Yorkers suffer severe personal injury and 250 are killed every year in traffic accidents and to Bill de Blasio this is unacceptable. Yesterday afternoon the Mayor of New York presented “Vision Zero Action Plan” the first report produced by a multi agency task force that the mayor created last month. (See previous blog) . 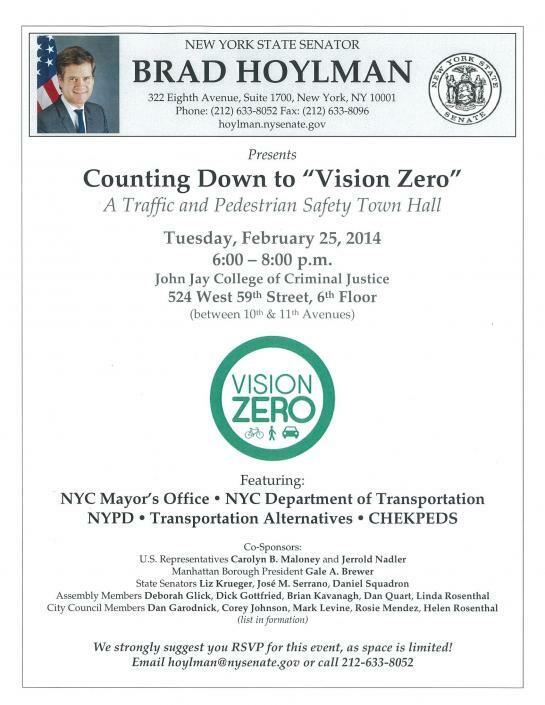 Vision Zero has proven to be a successful program throughout different cities of the world because its multi faceted approach brings together government, advocacy and private sector actors as well as the public to become part of the solution. In a similar fashion, yesterday’s action plan contains proposed actions by the City, the Police Department, the Department of Transportation, the Taxi & Limousine Commission, the Department of Citywide Administrative Services and the Department of Health and Mental Hygiene. Should the snow plow driver who killed a pregnant woman in a Brooklyn supermarket parking lot be criminally charged? 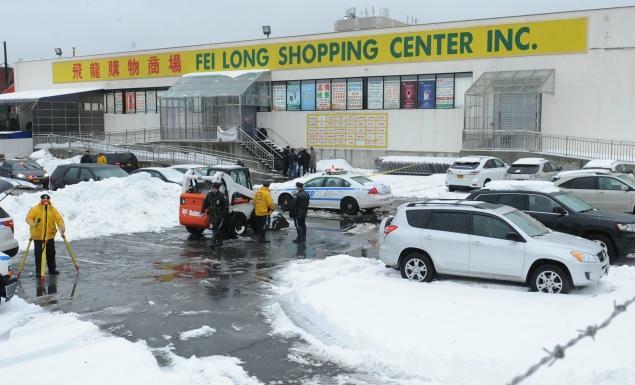 A pregnant woman was struck and killed by a negligent snow plow driver on a supermarket parking lot in Brooklyn, New York. The baby was delivered by C-section but according to doctors the baby suffered oxygen deprivation and may have brain and other organ damages. The bobcat driver wasn’t charged but received 3 tickets because the vehicle, a Bobcat (skid steer loader), lacked an inspection sticker, a headlamp and a license plate light. The neighbors of the woman are upset and believe the driver should be criminally charged. What do you think? 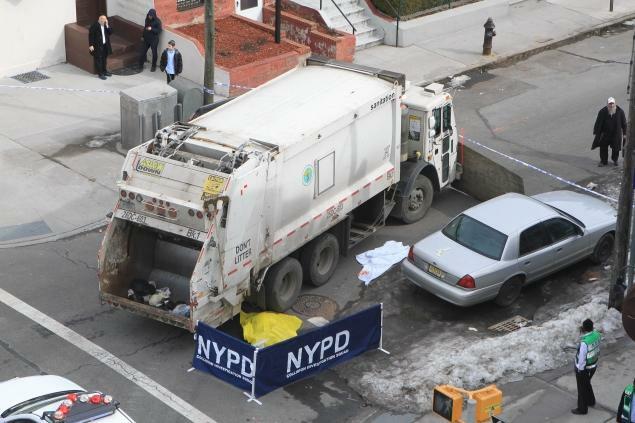 A commercial truck driver crushed a pedestrian in Brooklyn and just sped off as the man was left unconscious. 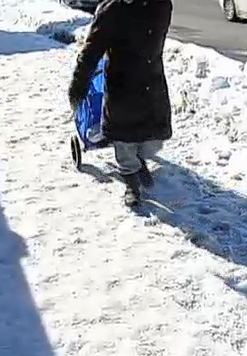 The 70 year old pedestrian was pushing a shopping cart alongside a parked commercial truck. When the pedestrian was at the level of the cab door, the truck pulled out, crushed the man and continued without stopping. The man was found unconscisous at the place of the accident and died at the hospital. The police are still looking for a dark color three axle truck. 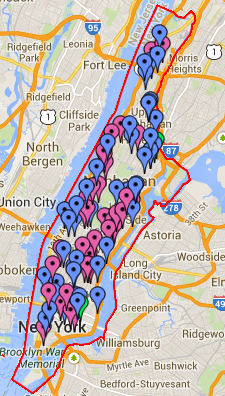 Broadway, First Ave, Second Ave and Seventh Ave are the most dangerous roads for pedestrians in Manhattan. According to The Tri-State Transportation Campaign, out of a total of 89 pedestrians who died after being struck by a vehicle in Manhattan between 2010 and 2012, 28 of them died on one of these large avenues. In the Bronx, where 72 pedestrians were killed on roads,East Gun Hill Road, Fordham Road, The Grand Concourse and White Plains Road had the highest number of pedestrian deaths between 2010 and 2012. Flatbush Avenue, Ocean Parkway, Atlantic Avenue, Avenue J, Bedford Avenue and Eastern Parkway were the deadliest roads in Brooklyn where 123 pedestrians lost their lives in a vehicle accident between 2010 and 2012. 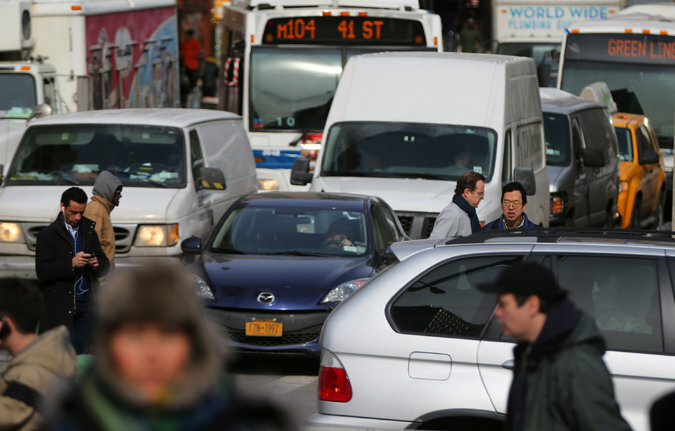 In New York most drivers who killed or injured a pedestrian will not face charges. In its cover story the Village Voice looks at the recent cases of pedestrian accidents and at the measures that could be enacted to reduce these accidents. To help combat the epidemic of pedestrians who die or suffer serious personal injury in New York, Gale Brewer, the Borough President, submitted a list of the NYC 57 most dangerous crossings. This list include 96th street and Broadway where two pedestrians recently died as well as 17 other locations in uptown manhattan..